Breaking your way into a very competitive film industry can be tough without proper guidance. While there is no real blueprint to success, there are some strategic approaches that can improve your chances of achieving a rewarding and lucrative career. When I decided that I wanted to be a filmmaker, I began doing what most emerging filmmakers do: I experimented with whatever camera was available. I must say, I had it pretty easy compared to people in the past who had to learn on film stock. Today however, the huge abundance in the availability of high-quality video is changing the way in which video content is both created and distributed. 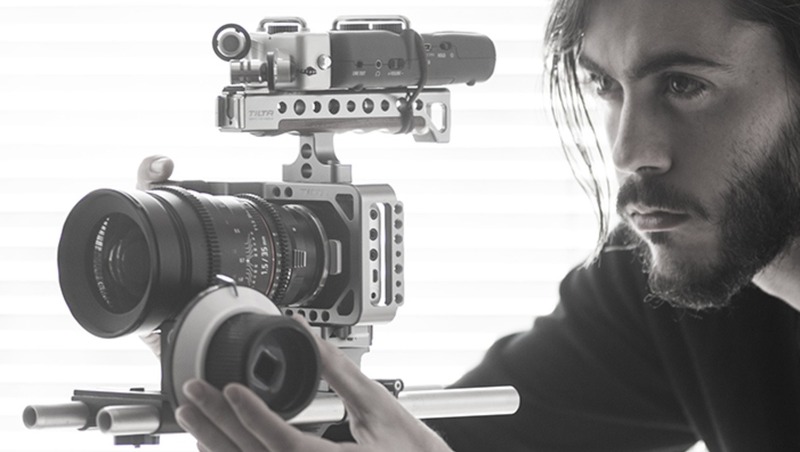 High-quality video capabilities are in the hands of anyone who owns a smartphone, while online sharing and distribution has made it possible for people to turn filmmaking hobbies into careers. With an overwhelming amount of content out there, it’s difficult to know which direction to turn when wanting to take your filmmaking seriously. Technically there are no right or wrong approaches. Some paths may lead to seemingly instant success, whilst others could leave you floundering on the outskirts of the industry, putting everything you have into your craft and getting very little in return. So while there is no universal right or wrong approach, there may be a right or wrong approach for you specifically. Not everyone has the ability or means to take time off to create a self-funded masterpiece, but then again, some people can. The good news is that you don’t have to work your way up step-by-step for years from the bottom of the industry. The bad news is that there are still no shortcuts to becoming great at what you do. This will always take time and practice, no matter how well your smartphone can edit its own 4K footage. So, you feel that you’re ready, capable, and equipped to be a great filmmaker, but you’re not quite sure what your next step is? Regardless of whether you want to create feature films, television shows, commercials, or music videos, there are ways to get noticed. Here are a few examples of filmmakers who have (intentionally or perhaps unintentionally) launched a career off the back of a successful piece of work. Neill Blomkamp is a film director and writer known for "District 9", "Elysium", and "Chappie". Blomkamp comes from a VFX background but his big break came in 2009 with the Oscar nominated "District 9", produced by Peter Jackson. The concept for "District 9" originated from a proof of concept short film which Blomkamp created in 2005 called Alive in Joburg. Whilst Blomkamp was already a professional in the industry, he proved with his short film that he was capable of taking on bigger projects, and luckily for us, he put himself out there and got the attention he deserved. The six-time nominated Director Wes Anderson, started his career with short films. In 1994, he released a short film called, "Bottle Rocket", featuring his friends and first time actors, Owen and Luke Wilson. What inspires many people about this short is how simply it is filmed. Watching it you get the sense that it is just one person walking around with a camera filming his friends. That being said, the film was written and performed well enough to feature at festivals and secure enough funding to be made into a feature length film in 1996. The rest is history. It's inspiring to think that this director, known for his distinct style of storytelling with elaborate sets and his mastery of composition and color started with, "Bottle Rocket". It gives hope to all aspiring filmmakers. 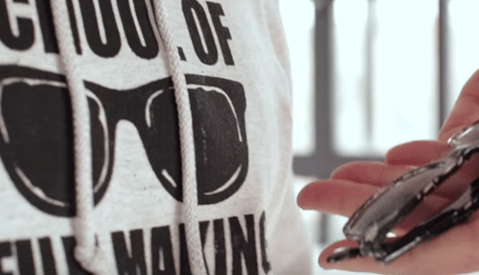 Casey Neistat differs from the other filmmakers on this list, but he is a prime example of how the internet is creating opportunities for filmmakers. 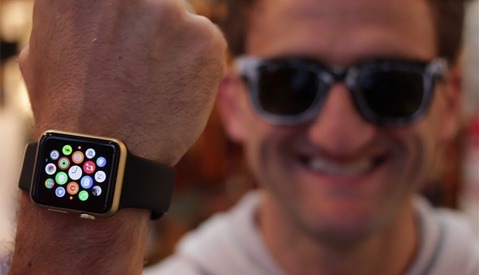 Neistat currently spends his days creating vlogs for his YouTube channel, about his personal life. His account has almost 2.8 million subscribers, indicating that vlogs alone can support a lifestyle of creating video content. When first watching one of his vlogs you may think: “I don’t get it". "He just films his day to day life”. However, after watching a few of his videos, many people begin to find themselves drawn to his endearing personality; creating a celebrity-like status amongst his followers. Although this kind of internet fame is not new, it does indicate what kind of content people are willing to watch. Neistat and his brother, Van, discovered this in 2008, when HBO purchased eight episodes of their “home movie” style show entitled, "The Neistat Brothers", for a reported $2 million dollars. I don’t think what we do is that interesting. It’s just about storytelling. Whether you’re a fan of this style of work or not, hats off to people like Neistat who are able to attract such large audiences without requiring what most people would consider essential (such as a decent camera). Here’s an old clip of the Neistat brothers talking about the concept of their show. When most people think of commercials they think of cheesy, poorly made visual sales pitches associated with unwelcome interruptions of their favorite shows. Well, at least that’s how I viewed them. That is until I was exposed to the works of artists such as Ringan Ledwidge and the wonderfully creative world of commercials made by people who actually love to tell stories. One popular way of becoming a highly regarded commercial director is to create what’s called a “spec commercial”. The concept is to create a commercial for a specific brand as if they hired you to do it. These are usually the equivalent of independent, self-funded short films. YouTube and Vimeo are full of them. Some great and some terrible. The best advice I ever received regarding how you approach a spec commercial (and ensuring you get noticed for it), is to make sure that the quality of your work is as good as a commercial that the brand itself would make. So if you’re choosing a big brand for your commercial, you’d better make sure you have an excellent concept and high production value. One of the best examples I've seen is a commercial directed by German film students Dorian Lebherz and Daniel Titz, also known as, "Dorian & Daniel". 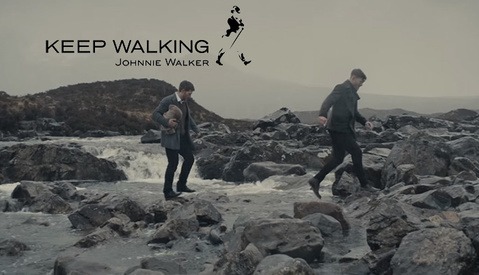 In December 2015, they released a spec commercial for Johnnie Walker and it reportedly had over 1 million hits on YouTube within a day. The concept is spectacular, the narration is beautifully crafted and the visuals look like they’re from a big budget Hollywood movie. Although they’re still finishing up film school, they have already found representation with a German advertising agency as a directing duo. Share your experiences of trying these approaches (or any others) in the comments below. That Johnnie Walker commercial was the best commercial I've seen in a long time, regardless of it being a spec commercial. It's so good! Interesting point, Pete. I can't speak from experience regarding crews in the US as I haven't worked there before, but it's ironic that I've grown up often wishing I was American so that I could legally be allowed to work there. I do agree with you regarding foreign actors though. As much as I love the performances of people like Benedict Cumberbatch, Cate Banchett, Idris Elba etc, I do feel sorry for Americans losing work on the big scale stuff. However, there are a huge number of American productions being shot in Canada, UK, Ireland, South Africa etc. I did some work on Vikings in Ireland recently, and with parts of Game of Thrones and Star Wars being shot here too, it does make me think that maybe the US needs better incentives or tax breaks to keep those productions on home soil. Thanks for your reply, Pete. I agree, no need to take things personally in comments. I appreciate your point of view and find it informative as I have never even visited the US before, so I am largely unaware of these tensions within the industry. wow Pete, so many chips on your shoulder I don't know where to begin... It must be hard work avoiding all the 'left wing politically correct anti-American Hollywood' conspiracies, but are you sure you haven't simply replaced them with something far worse?